A small form factor build for some work, gaming and VR. Since ordering the DAN A4-SFX case I have been following the discussions on what coolers to fit and the performance of those on various forums. 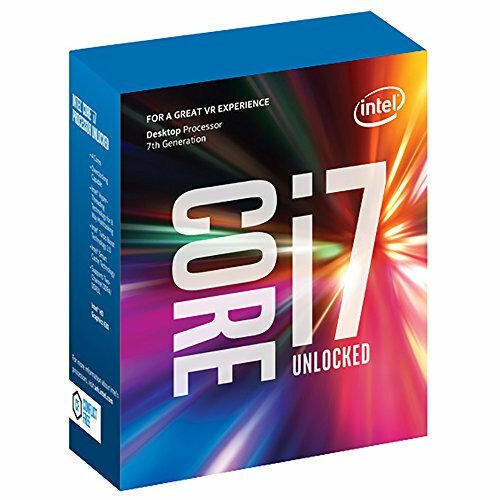 Intending to put a Core i 7 7700K into this build I was dependent on good cooling performance. Having already tried the processor with a modded air cooler in a Node 202, I wasn’t to keen on trying another setup with an air cooler. So I decided this build should be cooled by an AIO… At this point the DAN A4-SFX case didn't have official support for the mounting of an AIO. The case is a DAN A4-SFX case. I was looking for a case that was as small as possible, one that had great looks and would fit all the hardware I wanted to put into the case. Really glad I found this awesome small case. Great layout in terms of the two separate compartments. Besides a few tricky parts when it comes to cable management (as always in a small case like this) it was really simple to build in. Quite a few smart choices have been made while planning this case. The motherboard is the “MSI Z270I Gaming Pro Carbon AC” which I found to be an excellent fit for the case. The layout works good in the case and I´m able to keep almost the entire motherboard area clear of cables. Giving the CPU and the other components enough space to breath. One other important aspect I had to consider, was enough high speed USB port to support my Oculus Rift with three sensors. This build uses the new Intel Kaby Lake Core i7 7700K. Probably a overkill for this build, but I just wanted to have one :) Running at stock speeds and delidded. For the delid i used the Rockit88 delid tool from Rockit Cool. A very easy and straight forward procedure. I used Coollaboratory Liquid Ultra between the CPU and IHS. I then used the re-lid kit from Rockit Cool to reattach the IHS. Small amounts of black silicon from Permatex was used to glue the IHS back on. Liquid Ultra was also used on the heatspreader and the AIO pump. This is the BIG one in this build. Initially it seemed like this would not be able to fit. 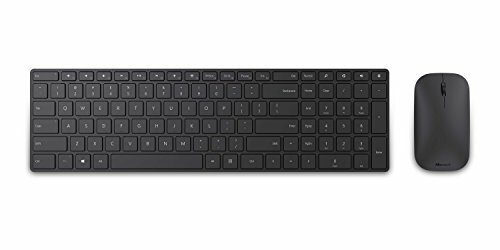 But I took a chance, ordered the Corsair H60 and tried it out. The included 25 mm fan does not fit, but I was able to take one of my Deepcool Gamer Storm GS120 20 mm fan and mount it between the radiator and PSU. The fan is mounted in a pull configuration. Exhausting air through the PSU or beneath the PSU. In a earlier version of the build I had the fan mounted on the outside of the radiator in a push configuration. This gave me a 2° C temperature advantage, but with much higher sound levels. The current setup seems to be a good compromise. Although it doesn't look quite as nice. First I mounted motherboard and the GPU. Did most of the cables before putting in the fan, radiator and attaching the pump onto the CPU. I tried to keep as much of the cabling underneath the radiator so it would not block it to much. While I´m waiting for custom length cables I routed as much as possible over to the GPU side. The plastic separator between the two compartments was folded together and pushed behind the GPU. So that the air can travel as freely as it can in this case. The tubing is routed alongside the bottom of the CPU side in the case. In the end the PSU was flipped and mounted in it´s position. There is some airflow through the case and some through the PSU, with the PSU fan helping when really under load. The GPU is a Gigabyte GeForce GTX 1080 Mini ITX 8G. I needed a small and short GPU in terms of fitting the radiator for the AIO. This seemed like a great fit and I haven´t been disappointed yet. Seems to run quiet and cool. The small fan has really surprised me. I expected it to make far more noise than it actually does. Although the card runs a little hotter than the GTX 1070 Mini. While performance of the card seems slightly below that of a decked out GTX 1080 it works more than good enough for me so far. Max temperatures at heavy gaming are around 75° C. 80° C under heavy benchmark load. 3 hours with running these benchmarks: CPU never got over 74° C and GPU never over 80° C.
Aida64 stress test (CPU, Memory & GPU) for 2 hours > CPU max 72° C and GPU max 71° C.
Prime95 (28.10) stress test (CPU) for 30 min > CPU max 73° C.
Timespy stress test: 98.3% > Temperatures GPU Max 75° C and CPU Max 70° C.
Superposition stress test: passed > Temperatures GPU Max 80° C and CPU Max 59° C.
I have ordered custom length sleeved cables. Getting those should clean up the cabling in the case considerably. Partly done. Still missing new shorter cables for the GPU. Delid and relid the CPU. Hopefully lowering the cooling load by a few more degrees. Maybe adding some form of case cooling above the PSU and the motherboard / GPU chambers. I have ordered some slim 80 mm fans that might fit here. It is specially the motherboard compartment that gets hot under long gaming sessions / stress testing. Maybe a fan above it will help decrease the temperature a little. Upgrading to a Gigabyte Geforce GTX 1080 Mini. 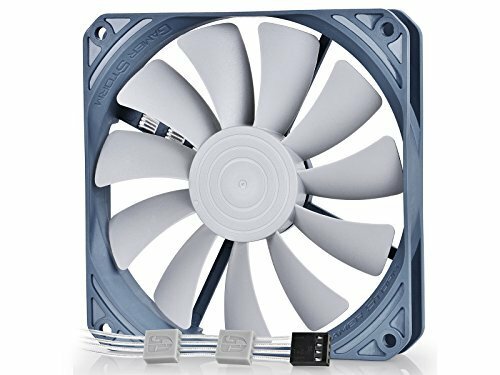 There have also been suggestions over at [H]ard|forum to buy a SFX-L PSU, remove the fan and mount it with a 120 mm fan between the PSU and radiator. This is a suggestion I might follow up. While it might not be something I will do in the near term future, I might like to try out exchanging the PSU for a smaller dc-dc PSU. Making room for a lot more space around the radiator. With some modifications to the case itself, one could center the radiator more and attach two 25 mm thick fans on either side for a much better performing push pull configuration. This solution of course has several drawbacks, mostly the supported wattage (max 400W as far as I can see) of the dc-dc PSU´s and the added ugly power brick. But it is a theory that might work. Hey, just a heads up, the Dan A4-SFX is on the site now. Can we get an official listing for the Ncase M1 as well? The one retailer that has it available (or will have it) is currently down on our site. We're hoping to get them up soon. Thank for posting this build. 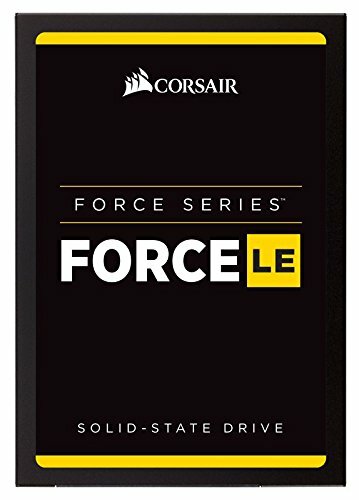 I'm doing something very similar with a MSI ITX 1070 and a corsair H75 in a Ncase M1, but I'm wondering if I should skip the M1 and go for a smaller A4 instead. I also delidded my 7700k. It does 5.0ghz at 1.36v. 72C load on the H75 with the components assembled on a desk. I wonder how much hotter it would get inside the Dan A4. It should only be a couple degrees more. Tests have shown the temps in the A4-SFX to be comparable to those of an open air setup, due to the fans drawing air directly from the outside. I'm not familiar with the M1 vs the DAN A4 so it is hard to say how it would compare to your current setup. Have you tested the H75 with just one fan? I don't think you will be able to fit the H75 with two fans into the A4 case. Looks like a really beast build for a LAN party! This is probably one of the most insane struggle sandwiches that I've seen so far. 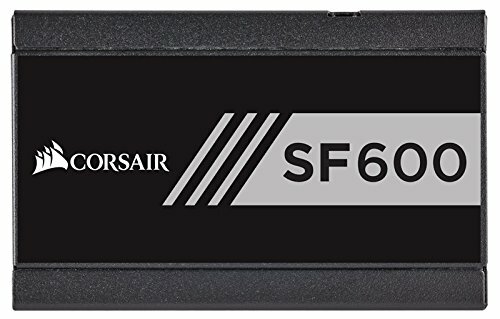 The clearance between the 1070 mini and the Corsair H60 gave me goosebumps. Any chance of a picture snapped from above with the case off? I'm interested to see how this actually looks on the inside between the PSU and radiator. I'm considering doing something like this myself, so this would be a big help. I have a GTX 1080 Mini on the way. As soon as it arrives I will update the project with the requested picture. Love this DAN build, it's inspired me to do the same with my DAN case. Any updates on it in the past 10 months? Thx! I upgraded from the 1070 mini to an 1080 mini. Besides that there have been no changes to the build. Thanks for the update! Do you have any pictures from the top that show how you installed the AIO radiator and how much space it has between the PSU? It would be super helpful. I finally got around to taking these pictures and have added them to the gallery on top. As you can see there is basically no space between the three elements (radiator, fan and PSU). The "Deepcool Gamer Storm GS120" was the biggest fan I was able to add. can u upload more natural photos ? looks great but is there any space for the radiator to exhaust air? In the first version (photos when I first submitted) there wasn't enough space, but DAN and some others over at the [H]ard|forum suggested I should flip the PSU. I did that and cleaned up som cables beneath the PSU. I now have a small airflow going through the case and one going into the PSU and out. One hour of Aida64 stress testing is possible without throttling. Love this case, prefer a more 'clean' looking build though but good job nonetheless. Can i ask a question how did you manage to mount the radiator? with screws or what?!! The radiator itself isn´t mounted. Because of all the cabling beneath it and the quite "sticky" tubes it barely moves by itself. But to avoid it moving by itself when moving the computer, I have attached the fan to the chassis by two cable ties in the top left and top right corners of the fan. +1 Great build. Can't believe you fit it all in. Taking it a step further I wonder if you could fit the new Zotac 1080 mini with an AIO? Maybe with a dc-dc PSU like this next to the graphics card and the AIO on the mobo side of the case? Using a dc-dc PSU is indeed something I have planned as a possibility in the future, but I haven´t used those PSU´s yet. So I´m a little unsure how they work and perform. If I try it out I will make sure that I try the Zotac 1080 mini. I just got this case from kickstarter. I don't know how the hell you fit that cooler in your case but I'm tempted to try. Fitting the radiator isn´t that hard. The tubes can be a little stiff, but after bending them back and forth a little it works out. The challenge are the other cables that you have to route around the tubes. If that works out depends on your motherboard layout. If you build it like I did you won´t be able to fit a 1080 mini (or at least not the 1080 minis I know about). To do that you would need a smaller radiator or a smaller power supply. What lengths did you go with for your EPS and ATX cables? Is the radiator using recycled air from the PSU or visa versa? If the later than do you have issues with overheating PSU? The PSU is getting some air pushed into it by the radiator fan, but it doesn't seem to impact the PSU temperatures. I'm unsure if I have ever heard the PSU fan spin up. There is about 1,7 cm space between the top of the cpu water block and the inside of the side panel. Excellent build, but how did you manage to mount the radiator to the side? The radiator itself isn't mounted. It doesn't move a lot by itself due to all the cabling around and the quite sticky rubber on the tubes. I have mounted the fan to the radiator and the fan itself is attached to the case structure with a couple of cable ties. This makes it very robust solution. I can pick up the case and shake it and have nothing moving around in it. So a full size GPU will not work with AIO coolers?